Bright/dark field, reflective/transmissive imaging, DIC, 5mpix camera. Teared down couple of our MIFARE Moscow metro tickets - they appeared to be made by NXP (I was expecting Micron). Bummer. Photos are made with 10x lens, actual chip size is 0.6x0.6 mm. 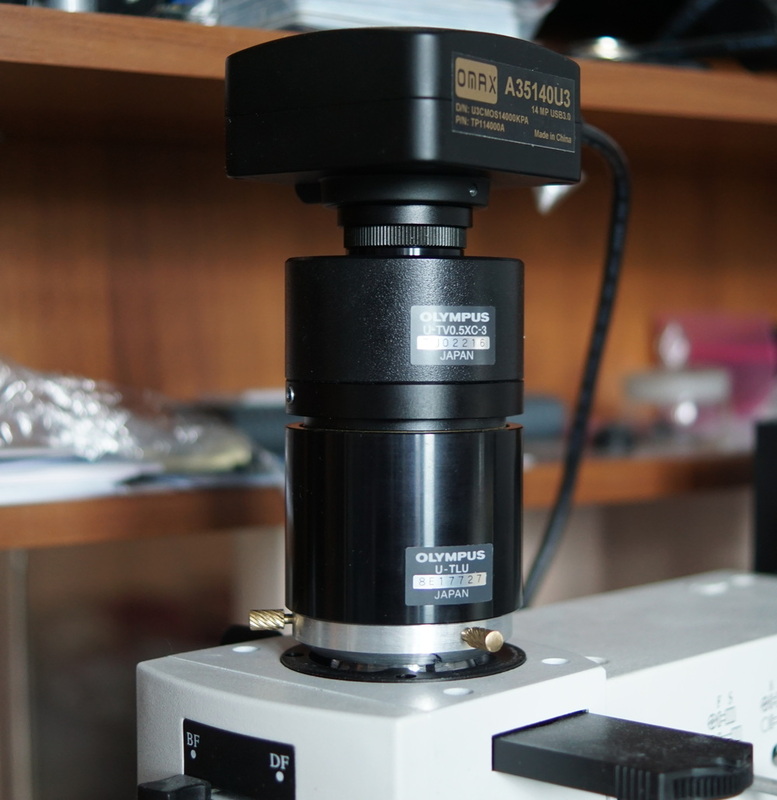 Update 10 july 2015: Microscope was significantly upgraded over the years - trinocular head is replaced with original tube lens from Olympus and Olympus 0.5x adapter for CMOS camera. Camera upgraded to OMAX 14mp USB 3.0. There is also quite a bit more microscope lenses - original 10x was somewhat misadjusted in the corner, so I got a replacement from the manufacturer. But then I replaced it again with just perfect Olympus UMPlanFl 10x/0.3 with fluorite elements. Now 70% of the work is being done using it. I've also written about 20x with cover glass compensation here.